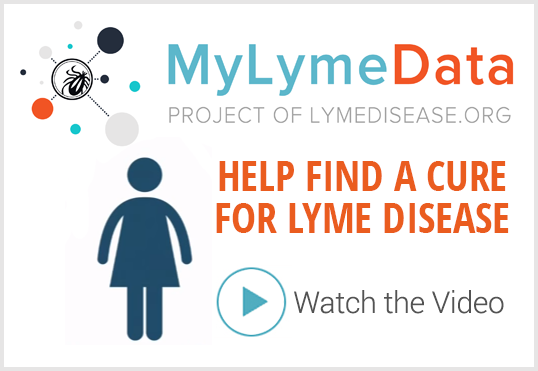 LYME SCI: What to eat when you're allergic to everything? What are you going to do, when everything your child eats makes her sick? As I’ve explained in my earlier posts about mast cell activation syndrome (MCAS), virtually anything my daughter put in her mouth triggered a serious allergic reaction. However, with the help of an incredible medical team and my daughter’s determination to succeed, we found a path to healing. I’m sharing what we did in hopes that it can help others in the same boat. This is part four of a series on mast cell activation syndrome (MCAS) triggered by Lyme and co-infections. Part one, “When the immune system goes haywire,” serves as an introduction to MCAS; Part two, “The agony of mast cell activation syndrome (MCAS),” reviews the five-step process I used to help my child begin healing from MCAS; Part three, “More about healing from mast cell activation syndrome,” outlines the essentials to finding and eliminating food triggers. I have been writing for LymeDisease.org since 2016. This series on MCAS has generated more comments and questions than anything else I’ve written. By far, the most frequent question I’m getting is how to survive a food intolerance crisis. Today I will share how we got my daughter past her extreme food sensitivities. Future posts will include identifying mold, environmental and cosmetic triggers, how stress affects mast cells and the immune system, and getting your life back. At the beginning of this MCAS journey, our routine was very stringent. Once we found the right combination of antihistamines, and she was able to go three months without an allergic reaction, we could relax a little. 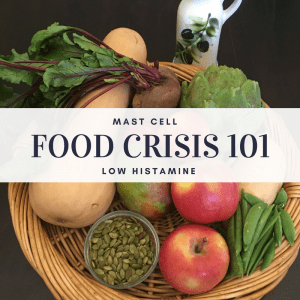 Believe me, I do know what it’s like to be in food crisis, so I’ve laid out a sample of some of our favorite low-histamine foods below to help others learn the process. In my daughter’s case, the foods we chose were specific for her genetics and their high nutritional value. Her diet is also gluten-free, dairy-free, low in sugar, low-histamine, low-oxalate, and low in sulfites. Depending on your specific needs, you may not need to eliminate all of the above ingredients, or you may need to eliminate these plus others —like foods high in salicylate, a chemical found naturally in certain foods. The key for us was to make everything from fresh, wholesome, organic ingredients. During her crisis we went with frequent small meals. Because the act of chewing and digesting requires histamine, smaller doses were less triggering. We also eliminated all leftovers, because “aged” foods are higher in bacteria and will trigger more histamine. For a complete list of low-histamine foods click here. We also made sure each meal contained one protein, one carbohydrate and at least one fruit or vegetable. The following are a few suggestions of low-histamine foods that we rotated every three to four days during my daughter’s food crisis. Keep in mind if you are adding new foods the name of the game is low-and-slow, as I laid out in my previous post. • Reheated food (especially fish, meat and mushroom dishes) Meals from restaurants, snack bars, fast food (due to potential cross contamination of ingredients, uncertain freshness, and uncertain storage time) • Wholesome, fresh, unprocessed or lightly processed foods. • Leftovers must be refrigerated immediately and eaten within hours or frozen. *I use 100% extra virgin olive oil to sauté or bake everything. If you are salicylate-intolerant, you may have trouble with EVOO. Coconut oil and nigella sativa oil (black seed oil) are also recommended. Note: I am not a doctor. Food allergies are unique to each individual, so it’s important that you work closely with your doctor or a registered dietitian to find and eliminate your food triggers, then design a balanced plan that works for you. 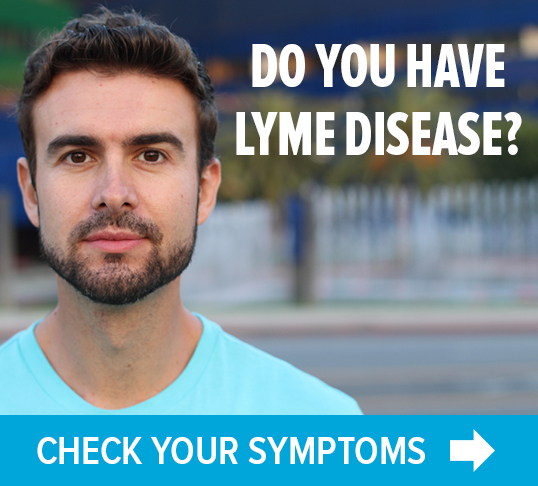 LYME SCI: Are hidden ingredients in pills making you sicker? Have already Celiac, Dairy and Candida issues along with joint pain and gout. Will have to try this. Thank you. just thinking that high quality berry juices such as aronia or elderberry might help? cranberry? Juices and berries are interesting and reactions vary by individual. Not everyone can tolerate them initially, but I do know a lot of people who make fresh vegetable or fruit juice (no citrus) and do just fine. If you have trouble with berries it’s probably due to the benzoates (some berries are higher than others). Strawberries and raspberries tend to be more problematic. Cranberries while a healthy choice for some, are not good for histamine intolerance. In fact, histamine is required in some fruits and vegetables (like tomatoes) during the ripening process to make it turn red. So we generally avoid red things. I’ve noticed I can tolerate blackberries more than other berries. What an AWESOME and truly dedicated Mom you are! I’m struggling with what I can eat or drink. Hi, Vicki. With my daughter, when she was reacting to everything it was because she was taking something daily that she was allergic to. You likely have something you are being exposed to daily that is keeping you histamine “bucket” overflowing. It turns out my daughter was reacting to the filler (microcrystalline cellulose) in her prescription medication and supplements. Once we eliminated that, things started to turn around. I’ll be sharing how to look for these types of triggers (excipients) in a future post. What kind of doctor did you use to find out what the sensitivities were exactly? Ha! I fully appreciate mini MCAS rants. I know how hard it is to find the right team. We are super fortunate to have her entire TEAM onboard with the MCAS stuff and are making huge strides as a result. I learned a ton from reading Dr. Afrin’s book “Never Bet Against Occam”–essentially anything can be a trigger for MCAS. Key for us was finding her triggers, which I think we have done. It would have been nearly impossible had we not been able to 100% control her environment. Thank you so very much for the information about MCAS! I have had “allergy symptoms” for quite awhile with no conclusive answers from the 20 doctors I have seen since being diagnosed with Lyme Disease. Just knowing that I am not imaging these symptoms is comforting and that somebody does understand. You are definitely not imagining these symptoms. Discovering and treating MCAS literally saved my daughters life. I hope you are able to find a doctor who understands these complexities. I am getting a lot of email questions about quinoa and the sweet potato in my daughters diet, so I thought I’d add a comment here. The leaves of quinoa are very high in oxalates, the white seeds less so (see U of Chicago “Low Oxalate Diet” list). Quinoa was not added back into my daughters diet until after going many months without an allergic reaction. We added it back in very, very slowly and it is not something she eats every day. I rotate quinoa in depending on other foods she is having that day that may or may not be high in oxalates–the same rule holds true with oatmeal. We did eliminate a ton of her other favorite foods like kale, and spinach and replaced them with low oxalate choices like arugula. Because she was lacking in nutrient dense foods, quinoa is one we wanted to add in because it is so high in protein, calcium and all the other minerals. It’s also high in flavonoids and quercetin–which is a mast cell stabilizer. She has been fine with the white sweet potato (not the red) since we slowly added it back into her diet. It is also one we opted to add for it’s high nutritional value, especially vitamin A. We have found she is much more sensitive to red things. Turns out some fruits and veggies require histamine during the ripening process in order to turn red (just something to keep in mind). In my daughters case, histamine is a much larger issue than oxalates. Your case may be different. The way I look at it is we initially needed to empty her histamine bucket to get her stabilized. After that we were able to titrate carefully chosen foods for their nutrient dense value, and low histamine content. We felt it was a big plus if the foods are also high in natural mast cell stabilizers as MCAS is her main issue. I’ll be writing more about the other triggers we were able to identify and eliminate that have contributed to keeping her histamine bucket low and allowed her slightly more freedom with certain foods.